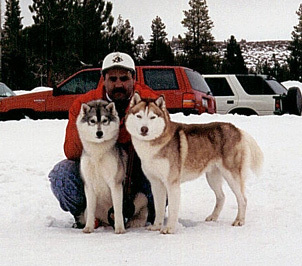 Alpine Siberians is located in Kalama, Washington. Our kennel was started in 1995 when we brought our siberians together. 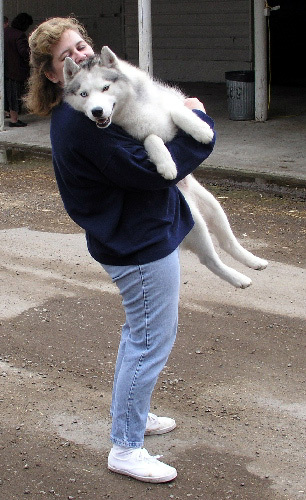 We had both already been showing and since we were both wanting the same type of Siberian, we felt that starting a kennel together would be beneficial for both of us. We breed only 1 or 2 litters a year. We breed only for ourselves in an effort to improve with each generation. Temperment is our top priority because, all of our dogs are pets first, show dogs second. All of our breeding animals are OFA'd (hip) and their eyes are checked by an ACVO Veterinarian for any eye disorders. We occasionally have retired show dogs available to the right home.